The war never ends, the battlefield just changes. It had been a year since my last League cosplay, Renegade Talon. I got the itch to bring another champion to life, but which one? 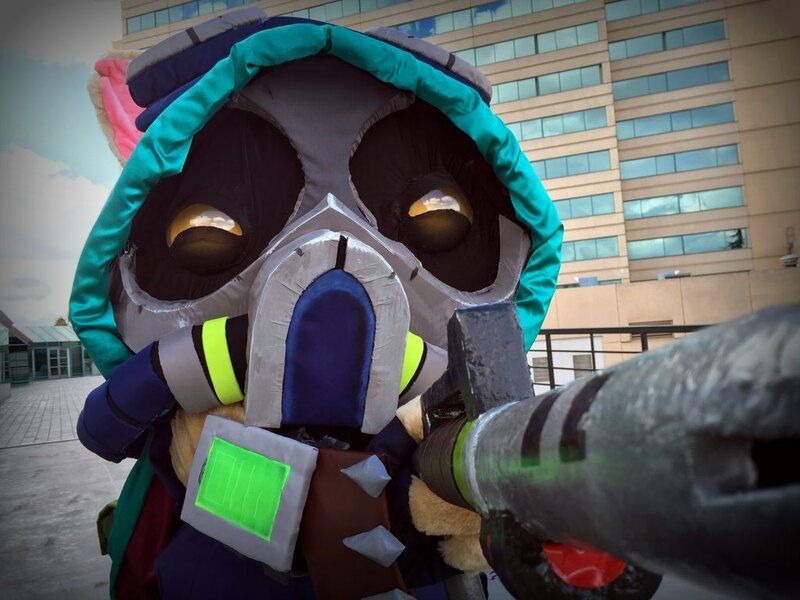 Having achieved an S level on a few champions, including Teemo, I decided I would cosplay a character that I was good at playing (sorry Talon). With Omega Squad Teemo coming out around this time, the timing was just too right to pass creating this Yordle. As many know the pain, I was working on Teemo until the nights before Anime Expo when I had to throw in the towel. I didn’t want to rush things, so I ended up working on him over the course of the next few months to debut at Anime Expo, the following year. The wait was well worth it with the heard reactions of so many people at the convention.